When the ship enters service next April, Holland America Line’s Koningsdam will feature a venue where passengers can blend their own bottle of wine to take to dinner. The venue, called Blend by Chateau Ste. Michelle, is an expansion of the cruise line’s partnership with the winery. The two Seattle-area companies announced the partnership at a luncheon on Monday at the Chateau Set Michelle headquarters in Woodinville, Wash. Guests will choose to blend their wines from five vintages: two cabernet sauvignons, two merlots and a cabernet franc. There will be a facility for wine blending on Deck 2, the first at sea, according to HAL. It will be a piano-shaped room enclosed by floor-to-ceiling glass on two sides, with a table for 10 guests. A package that includes a lecture about how to blend the wines, and a bottle to take to dinner, will cost in the $90 range, said Michael Smith, HAL’s senior vice president of guest experience and product development. Once guests have created a blend, they can have a bottle blended for them at dinner for a reduced price. Lisa Anciaux, director of travel products at AAA Washington, said the idea plays into heightened interest in food and wine. “People are looking for that experience. It’s a perfect fit for HAL. It’s going to go gangbusters for them,” she said. 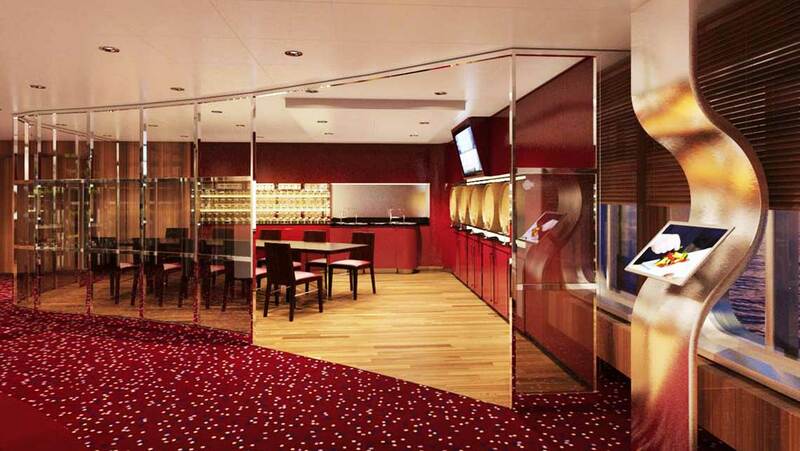 MSC Cruises also has a wine blending experience on some of its ships, but not in a purpose-built room. While long-term pricing discipline has for decades eluded the cruise industry, Royal Caribbean International is sticking to a pledge not to deeply discount its cruises in the last few weeks before departure, according to travel agents and a Wall Street analyst. Abandoning the industry’s traditional “sail full, whatever it takes” imperative, Royal has been forgoing last-minute discounts for the past seven months in an effort to wean passengers from the practice of waiting until close to the sailing date for the best deals. Moreover, several agents said they were seeing no signs that Royal has been selectively abandoning what the cruise line calls its “price integrity” policy. Patrick Scholes, a cruise analyst with SunTrust Robinson Humphrey, said he was seeing signs in the firm’s monthly survey of cruise pricing that close-in fares for Royal are far higher than they were at this time last year. In August, fares for bookings within one to three months of departure were up 13% after rising 16.9% in July and 15% in June. In fact, they have risen each month since March, when the policy began. “This is the strongest near-in advertised pricing growth we have ever observed for the Royal brand,” Scholes said of the July numbers. Under its “price integrity” policy, Royal stops discounting 10, 20 or 30 days before departure, depending on itinerary and other variables. In a conference call with analysts in July, Richard Fain, chairman and CEO of Royal’s parent, Royal Caribbean Cruises Ltd., said that one sign the program is working was that Royal recently extended the no-discount period to 40 days in some cases. “We recognize that this policy is costing us some money in the short term, but we believe that in the long term it will pay handsome dividends,” he said. Fain said the impact on occupancy has been “relatively small,” but where it might be costing the brand is in lower prices for bookings made from four to six months before departure. Scholes said his surveys show that Royal prices for cruises four to six months from departure were up only 1.7% in June and down 0.1% in May. However, several travel agents said they were seeing no signs that Carnival was mimicking the Royal policy. “All the competitors around [Royal] haven’t changed,” said Linda Bosch, owner of Just Cruises & More in St. Louis. Bosch said she was excited to see Royal try to end last-minute discounts because it makes for smoother planning and fewer rebooking hassles when prices drop. But Bosch predicted that it will take six months to a year before the changed incentives are reflected in consumer behavior, primarily in the form of earlier booking habits. Johnson said he fielded an inquiry from one group recently for a cruise on the Harmony of the Seas next summer and the price went up between their first phone call and the time they called back to make a deposit. “They said, ‘Find out if you can get the lower rate back,’ but I don’t think I can,” Johnson said. Distributing ceramic water filters is one job passengers will do along with local residents on a Fathom cruise in the Dominican Republic. Fathom President Tara Russell is at far left. AMBER COVE, Dominican Republic —When Carnival Corp.’s new Fathom brand docks for the first time here next April, guests will emerge onto the pier of the newest port in the Caribbean. Everything about it will say vacation, from the duty-free store at the foot of the pier, to the shopping village full of souvenirs, to the thatched-roof cabanas sitting Polynesian-style on platforms over the water. But Fathom travelers will be on a decidedly nontraditional vacation. Instead of choosing which beach to visit, they’ll be surveying options for how they can help the residents on the north coast of this country, where the per-capita income is about $11,680 a year. Many homes in the countryside lack electricity or running water. Wood fires are common for cooking. Fathom is not a conventional travel product, especially in the fun-and-sun cruise sector. But the brand’s managers hope to make the case that combining travel and social responsibility can be its own kind of fun. “It’s a meshing of what in many households would be two different spheres of their lives,” said David Drier, Fathom’s vice president of sales and former CEO at Clipper Cruise Line. Drier and his sales team have a bit more than six months to fill Fathom’s 710-passenger ship, which will alternate between weekly visits to this port and a second itinerary in Cuba. Meanwhile, several agents have reached out with interested clients, including Barbara Silver, manager of OmniTours in Deerfield, Ill.So far, Drier has focused on explaining Fathom to major consortia such as Signature Travel Network and Ensemble Travel Group; the latter recently named Fathom a preferred supplier. Silver said she is trying to book a Fathom trip for a group of about 40 in a central Florida retirement community in the fall of 2016. The group leader is in her early 80s, Silver said, and honeymooned in Cuba. “She’s very anxious to go back there and visit and bring her travelers with her,” Silver said. Cuba is the more expensive of the two itineraries, with prices beginning at $1,800 per person for an inside cabin. Comparable cabins on Dominican itineraries are $974. Nevertheless, Cuba seems to be outselling the Dominican Republic early on, even though Fathom’s program there is less developed. Fathom’s president, Tara Russell, said that Cuba’s appeal is singular because of the decades-long travel ban for Americans. “The object for travel is totally different” than in the Dominican Republic, she said, where the social impact work involved in a Fathom cruise has to be the primary selling point. 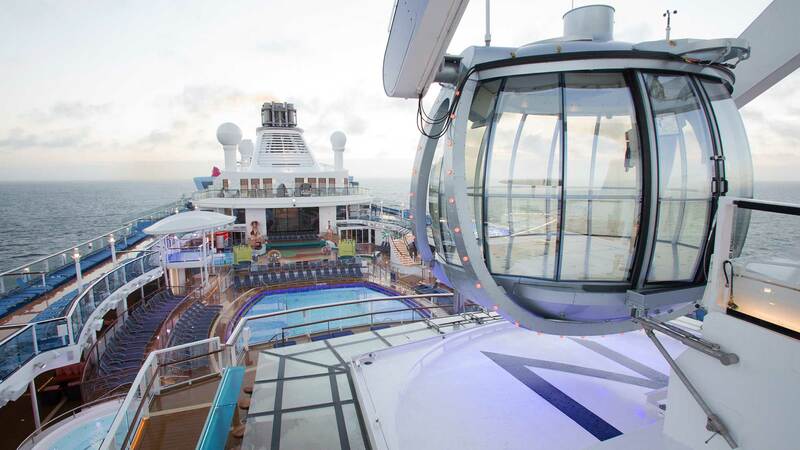 In the D.R., Fathom passengers will spend three days docked at Amber Cove, the new $85 million port near Puerto Plata. From there, they will fan out on buses to help Dominicans with a range of projects. One impact activity takes place in Altamira, about 20 miles from port in the hills above Puerto Plata. There, Fathom passengers will help out at Chocal, a cooperative formed by 30 local women so that they wouldn’t have to move to bigger cities to find work and leave their families. Chocal makes artisanal chocolate out of the cacao trees that thrive on the tropical island. The U.S. Agency for International Development has loaned the money for equipment, but to pay the loans and hold down expenses, none of the cooperative members draws a salary. “They can’t afford to hire more people now until they pay off their loans, so this volunteer program is just amazing,” said Caroline Bucher, a consultant for Fathom in the Dominican Republic. At Chocal, some passengers will help separate cacao beans from their shells, a tedious process that can be only partially mechanized. Others will assist with cutting, folding and gluing wrappers to the finished chocolates or make fertilizer for a nursery that produces young cacao trees. Elsewhere in the Puerto Plata region, Fathom cruisers will visit schools to help with English instruction. A group of Fathom employees and journalists on a “sampler” tour at the Maria Isabel Meyreles school in Cupey sang a song in English with a class of about 30 students. Afterward, the volunteers helped the students do a worksheet that had them finish fill-in-the-blank questions about the English lyrics. Sabina Rodriguez, a regional educational administrator, said foreign language skills in particular help Dominicans get jobs in the tourism sector. On another day, Fathom passengers might find themselves at a factory helping to sift clay and mix materials for inexpensive ceramic water filters that can turn river water 99% pure. A lunch of traditional Dominican fare awaits after a morning’s work. The next day, they will help distribute the filters and hear stories about how better water access improves families and communities. Russell said Fathom’s programs were developed with variety in mind so that travelers will get a different type of experience each day. To help agents promote such a new and different product, Fathom is offering an across-the-board 15% commission through Oct. 15 for agencies that register as Fathom Founder’s Circle members. In the Dominican, Fathom is also offering a 1-for-9 tour conductor credit during that time frame. For bookings of back-to-back cruises to Cuba and the Dominican Republic, Fathom is offering a 10% discount on the fare for each departure.